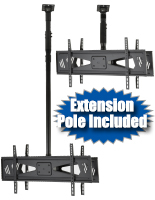 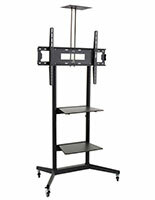 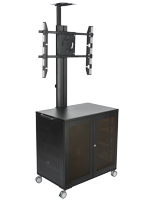 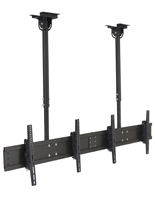 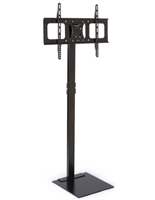 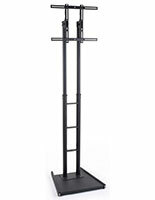 TV Stands for Large Screens | Monitors Measuring 48" to 64"
Stands for Large Screens Between 48" and 64"
Looking for a way to advertise with a dynamic display? 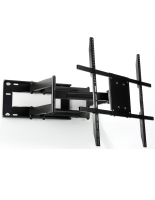 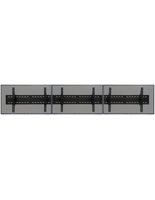 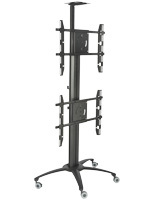 These TV stands for large screens can fit flat panels that measure between 48" and 64". 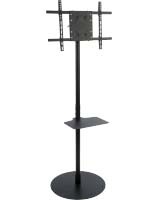 Fixtures like these are an excellent choice for retail stores that want to merchandise their wares with electronic promotions. 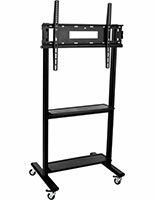 The TV stands for large screens are also ideal for commercial events like trade shows and expos where they can bring in passersby from afar. 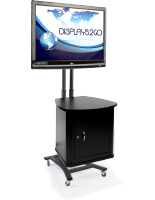 Add a professional looking flat panel to any booth to give your company more credibility and visibility. 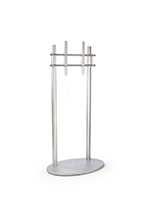 In addition, the TV stands for large screens can also be featured in office lobbies to give visitors an idea about the company, proudly presenting services and merchandise. 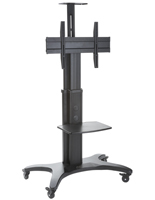 Hotels can also use the TV stands for large screens to feature nearby attractions, giving patrons more information about the area they're visiting. 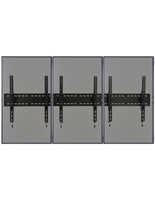 This group of flat panel holders comes in an assortment of designs to meet the needs of any business. 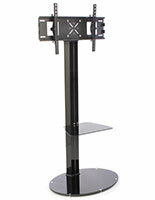 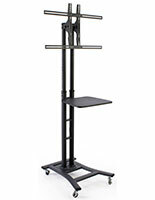 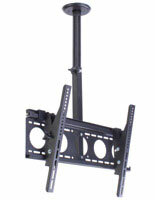 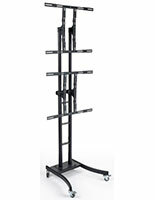 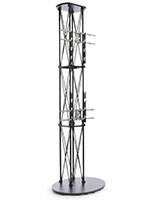 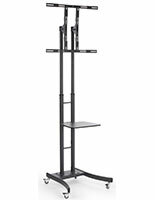 While most of the TV stands have a floor standing design, we also offer wall and ceiling mounted units. 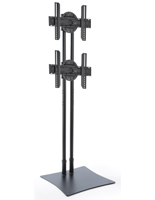 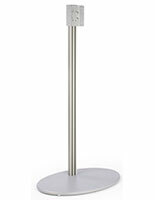 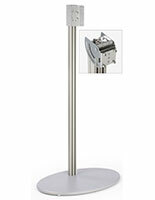 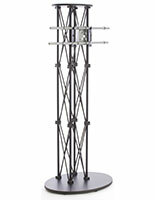 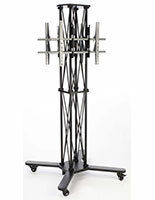 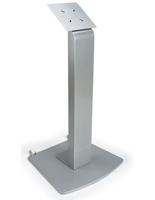 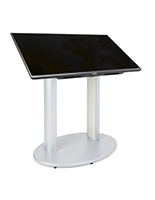 All of the holders here are made of strong aluminum or steel to hold large displays with stability. 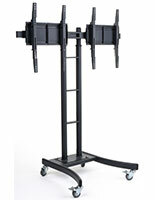 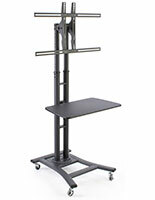 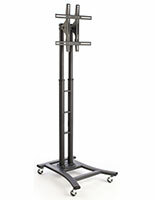 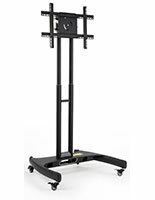 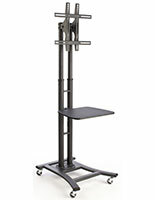 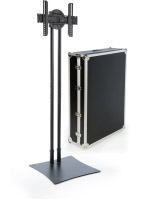 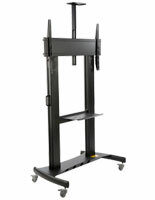 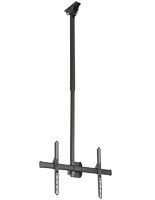 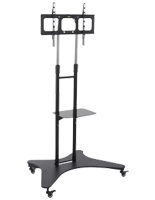 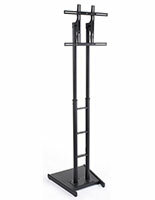 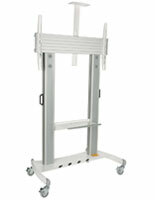 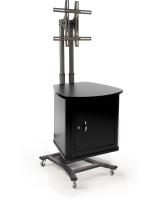 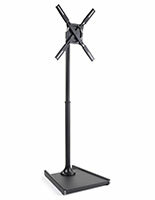 For extra portability, many of the floor stands come with caster wheels that lock to keep the unit in place. 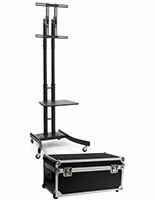 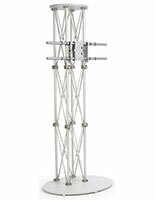 In addition, some models have a folding truss design and carrying cases that make transportation to events a breeze. 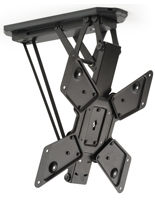 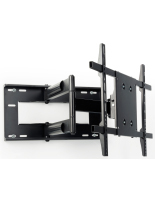 Many of the TV stands more features like shelves and adjustable brackets that can rotate and tilt. 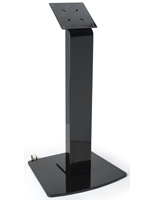 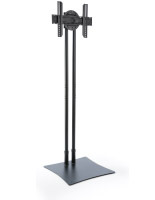 Made to blend in with any décor, the stands often come in black or silver, but they're also available with faux wood and clear acrylic components for extra flair. 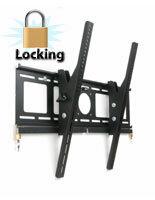 Secure locking cabinets are also included on select models to keeping valuable electronics and supplies out of reach.